“I had a very encouraging conversation with President Trump and [House GOP} Leader [Kevin] McCarthy and today I filed my paperwork so I can begin raising funds. I will be making an announcement at the appropriate time,” Malliotakis said in a statement to The Post. 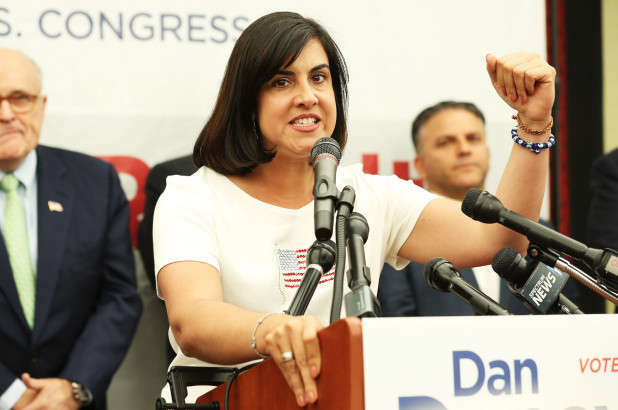 Republican Assemblywoman Nicole Malliotakis, who mounted an unsuccessful bid against Mayor Bill de Blasio in 2017, announced Friday she’s running for Congress in 2020. Malliotakis’ goal is to take on freshman Democratic Rep. Max Rose for the 11th District that covers Staten Island and parts of southern Brooklyn. Malliotakis, who represents parts of Staten Island and Brooklyn in the Assembly, lost handily to de Blasio citywide but won Staten Island with 70 percent of the vote. She initially backed Sen. Marco Rubio (R-Fla.) in the 2016 presidential election but switched to Donald Trump after he received the party’s nomination. Rose upset GOP Rep. Dan Donovan last year. But Malliotakis would likely face a GOP primary from former Staten Island Congressman Mike Grimm, who was forced out of office after being convicted of tax fraud. Grimm attempted a comeback last year, but was crushed by Donovan in the primary. Grimm on Thursday night issued a pre-emptive statement slamming Malliotakis. “It is comical to expect Republican voters will want someone as unprincipled, unaccomplished, and underwhelming as Nicole to share the ballot with President Trump in 2020,” Grimm said. Malliotakis quickly received the backing of billionaire supermarket mogul John Catsimatidis. “I will do everything possible to get her elected,” he said. “I don’t care who’s running against me in two years. Right now I have Coast Guard members and FBI agents who don’t know when they’re going to get paid and they need our help. So that’s my priority. She obviously has a different idea of what’s important because she spent last week in DC building support for her 19th attempt for higher office. I wish her the best of luck,” Rose told The Post.